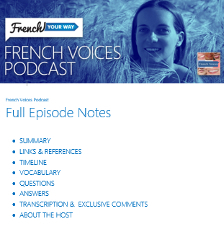 Ann would like me to explain how to use adverbs such as “là-dessus”, “là-devant”, etc. 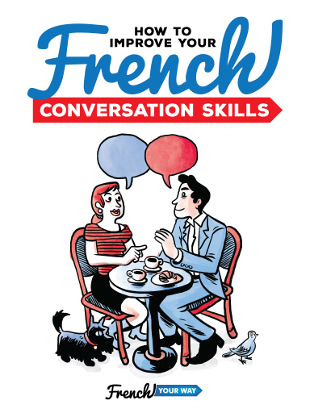 She also asked me about expressions like “juste devant”. This is a great opportunity for me to clarify the difference between prepositions and adverbs when we refer to a location and to help you with the structure of your sentence and translation. 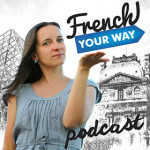 If like Ann, you’d like to submit your question to me by leaving a voice message, head to http://frenchyourway.com.au/contact ! Le livre est dessus = The book is on it. Je ne trouve pas mon portefeuille dans mon sac. Je pensais l’avoir rangé dedans! = I can’t find my wallet in my bag but I thought I had put it in it! La table est sale; ne pose rien dessus. = The table is dirty, don’t put anything on it. La table est sale; ne pose rien là-dessus. = the table is dirty, don’t put anything on there. Il fait noir dans cette pièce! = it’s dark in this room! Il fait noir là-dedans! = It’s dark in there! Je ne trouve pas mes lunettes. = I can’t find my glasses. Regarde! Elles sont juste devant toi! = Look! They’re right in front of you! Stephen Spielberg s’est assis juste à côté de moi à la cérémonie des récompenses! = Stephen Spielberg sat right next to me at the award ceremony.